The World Jewish Congress (WJC) has called upon Sweden to outlaw the ‘Nordic Residence Movement’ (NRM), a Nazi organization founded more than 20 years ago. In a petition, the WJC demanded action in this direction from the country’s Prime Minister, Stefan Löfven, the Speaker of the Riksdag in Stockholm, Urban Christian Ahlin, and Anders Perklev, who is Sweden’s Prosucutor General. “We call upon the government of Sweden to utilize all available legal measures to outlaw the Nordic Resistance Movement (NRM) and similar neo-Nazi organizations in Sweden which implement militaristic activities with the ideological goal of persecuting or inciting against others”, the WJC said. The Nazi organization was also a registered political party, a status which gave it “a legitimacy that cannot and should not be tolerated”, the WJC said. In the past years, the NRM was made responsible for inciting hatred against minority groups. In 2015, the Nazi Mob attacked refugees, in 2017 it organized a military march on Yom Kippur, the most important Jewish holiday. The Jewish community in Umea was terrorized by the NRM until it closed its community center. 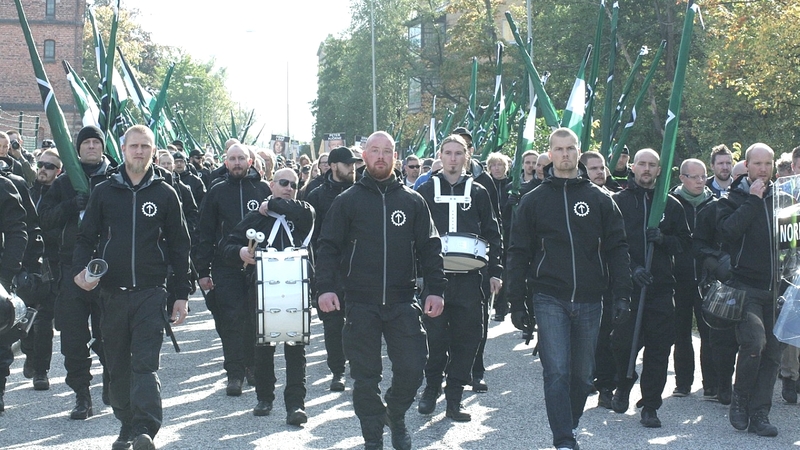 While Finland banned the Nordic Resistance Movement in late 2017, Sweden has not. The next general election in Sweden will take place on September 9th, 2018. A total of 24 NRM candidates were registered. In the municipalities Boden, Kungälv and Ludvika, the Nazi mob is campaigning, because it has not been stopped so far. It is even hoping to get more than 4 percent of the votes. A result of this kind would take it into the Swedish parliament. The NRM was founded in 1997 by Klas Lund, a member of the racist White Aryan Resistance. Once he got out of jail, where he had been incarcerated for manslaughter and robbery, he established the NRM with like-minded people. Since, the organization has been growing steadily. 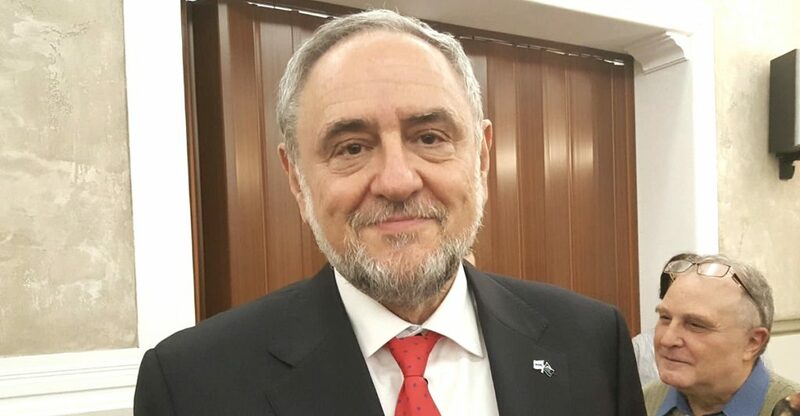 Last month, Prime Minister Stefan Löfven sent a letter to the WJC’s CEO Robert Singer, in which he promised Sweden would “continue to combat antisemitism and all forms of racism, hatred and discrimination with full force.” A month earlier, Singer had expressed concern over the “escalating pattern of violence and increased signs of antisemitism” in Sweden. In December of 2017, Robert Singer wrote an opinion piece on the situation in Sweden, saying the WJC expected the Swedish government and authorities “to take every measure possible to ensure the safety, security and well-being of its citizens. The time to act is now.” Just before, Nazis had attacked the Jewish community in Gotrhenburg and Malmö using fire bombs. “Never again has to mean never again”, Singer wrote. The WJC’s petition can be read and signed here. Germany: Maas Takes New Approach Towards the U.S.